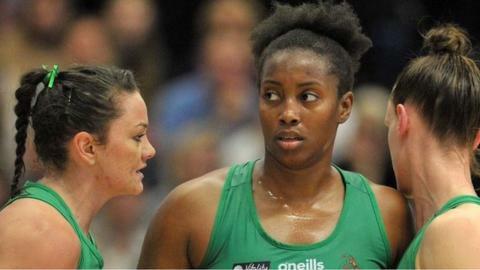 Celtic Dragons beat London Pulse to secure their fourth win of the season in front of a sell-out Cardiff crowd. The hosts took a commanding 13-6 lead into the break after the first quarter before Pulse took advantage of Dragons errors to close the gap to just four. However, the home side pushed on to comfortably secure their first home win of the 2019 season. The win took the Welsh franchise into seventh in the Superleague, their highest position since 2014. Celtic Dragons goal-shooter and player of the match Chelsea Lewis said: "Today was a good team performance and I think we showed everyone what we can do. "I think we're still not there playing four consistent quarters so it's quite scary where this team can go in terms of performance. "We either have a rubbish start or a good start and let teams creep back in, but I just think this team will just build as the season goes on." Celtic Dragons host Severn Stars on Saturday, 30 March while London Pulse travel to Wasps.